Without the following people, there would never have been Horizon Radio in London. Everyone played an important part to help the concept roll out. They put money, time and effort into the start up and the running of the station. The elite Horizon Radio Backroom Team together created the incredible success the radio station achieved, far in excess of any other land based unlicensed broadcaster to date. Annabel was a co founder of Horizon Radio, without her participation there would never have been a radio station. From the beginning it was her flat that was used as a transmitter factory and studio. She even supplied the money at times to keep it going after the DTI boys had removed the transmitters. Annabel worked all day and went home and worked all night, even providing the tea, coffee and food while the DJ’s recorded their shows. Annabel never had a night out or even a holiday in 4 years. She was also the voice that answered the telephone to the listeners and took all the requests. Annabel, The Golden Girl of Horizon Radio Backroom Team. Roger in his early days had helped out on Radio Jackie in South West London. Once back home in Jersey he took up electronics and created an FM station there for a while before things got two hot. On meeting up with Chris he showed again his radio skills, having fun with the BBC. Back in London 2 years later the (trio) decided to try and create a radio station. Roger had not built a transmitter in years, so struggled, but finally in October 1981 they had a 5 watt transmitter, with a mind of its own, but worked. Before leaving in 1982 (stress) he had created the Piers inspired rig that drove Horizon Radio right up to the end of transmissions. Ian a former BBC engineer, who was also with the IBA at CP, so knew his way around broadcasting. He came up with Horizon’s broadcast quality stereo encoder, building it from scratch and donating it to the station. He also donated a book on aerials, which enabled Chris to create the best ever aerial design used by the 80’s stations. The donations kept coming, one day turning up with broadcast faders with a movement start and a PPM’s (this shows the output of the desk modulation, so the DJ can keep to set levels). He then set about building a custom stereo broadcast mixer, beautiful to look at easy to use and Horizons 1984 24hr work horse. Ian was Horizons Star. Piers we met at the Pimlico meeting held by the then London broadcasters. Horizons transmitter was a talking point as it drifted so Chris was told, he had no idea what that meant. After a frosty meeting a friendship developed with Piers who was very young but the best FM transmitter builder in London. Piers ran his own station but also found time to give Roger a hand in creating the new Horizon rig. When Roger left, Piers taught Chris transmitter building including the 461mz UHF link. Thanks to Piers, Horizon now had a transmitter builder who later took the art to an all-new level. Piers you where the best. Don was the youngest member of the Horizon Radio team, but always ready and willing when those transmitters had to be installed. On Saturday nights and later Tuesday nights the transmitters where installed on the chosen site which changed each week. See Towerblock Tales for more coming soon. When everyone else was out enjoying themselves, the transmitter installation team was at work in all weathers come rain and shine. Don was always on the high ground, which means locating the transmission aerial at the highest point possible and then, taking it down again in the danger hour after broadcast. Don a stalwart of Horizon Radio. Nick Moss known as Nick Stuart when on the radio, started in the early days of Horizon as a DJ, leaving due to business commitments. He returned in November 1984 and along with 2 others persuaded Chris to bring Horizon Radio back in January 1985. He worked tireless to achieve the rebirth, sourcing most of the new studio, at a bargain price. Tony was a listener who lived in Hoddesdon Hertfordshire. He was always on the telephone with reception reports and requests to visit the station. He became very friendly with Chris who slowly gave access to the station to him. Tony was also a roofer so very handy to have around when transmitter masts needed extending. Sadly Tony blotted his own copybook just after the October 84 studio raid when he turned up at Chris’s and came out with the likes of (“If you put Horizon back on I will ? ? ?”), which was heard by the next-door neighbour who called the police. A nice guy really, but silly to get involved with the politics of the day. 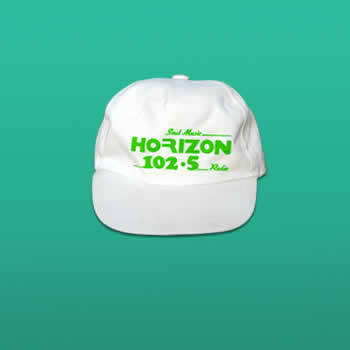 Horizon Radios Mr Fix It. Junior was responsible for getting the station a DJ who played great reggae music along with lots of paid advertising which helped to buy studio equipment that gave the Dj’s the best studio of the day which was situated within his flat at Bellenden Road Peckham South London. Junior also ran the successful Wednesday night at Gullivers Nightclub Mayfair, always full to the rafters with the advertising Horizon supplied. Junior was also very prominent in the rebirth of Horizon Radio in January 1985. King J Productions Mr Junior King doing what only Junior could and it worked. A key member of the Horizon Radio Backroom Team. 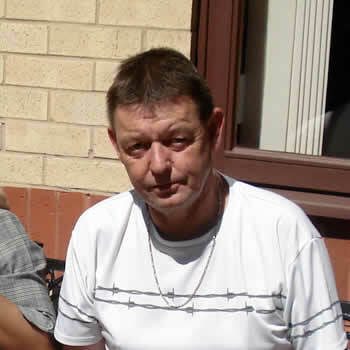 Stan and Clive, aka the boys behind Hitman Records. The shop was originally in Hammersmith then moved to 2 Lexington Street London W1, which became even more well known when Horizon Radio started to use the address so listeners could send in their requests via the post after PO Box 944 was closed by the post office. The shop backed Horizon Radio from the early days by providing the latest vinyl 12 inchers and LP’s imported from the USA and across the world. Ironically Tony Monson was one of those importers. Back in the day, you could also pick up Horizon Radio T-shirts, Sweatshirts, Hats and Jackets there on a visit. For now will call them the Soul Train Boys as we have to admit those 30 years have taken its toll on the memory. Back in the day they organized a lot of events, mainly in East London, which featured the Horizon DJ’s spinning the top tunes of the day. Soul Train was an event to remember. They had organized an exclusive train to coast which took Horizon Radio listeners and DJ’s on a day and night out to party. Later the team also became a big player in the rebirth of the Radio Station in January 1985. Horizon Radio Backroom team who knew how to have fun. Mick as he preferred to be called, lets re-phase that, insisted you call him lived in Welwyn Garden City in Hertfordshire. He was a big supporter of the station from around 1982. He found the station one night when we where setting up the transmitter for the next days broadcast and was on the telephone every week with reception reports. Mick was such a fan, when signal was bad, he drove over to high ground and sat in the car all night listening, even in the winter. He later got involved with the station and did not need to be asked to do something as by the time you had thought of it, he had done it. RIP Mick you where also a great friend. It’s Been Over 30 Years! Its been over 30 years since the Horizon Radio Backroom Team 1981 / 1985 last met and many of the members of that exclusive club have moved on with there lives. You where a credit to the British broadcasting and helped to shape the future. We acknowledge you for the history you help created. Thank you all for your contributions. If you would like your photo to replace the avatar or have any comments to included, please email us. > Keep well.